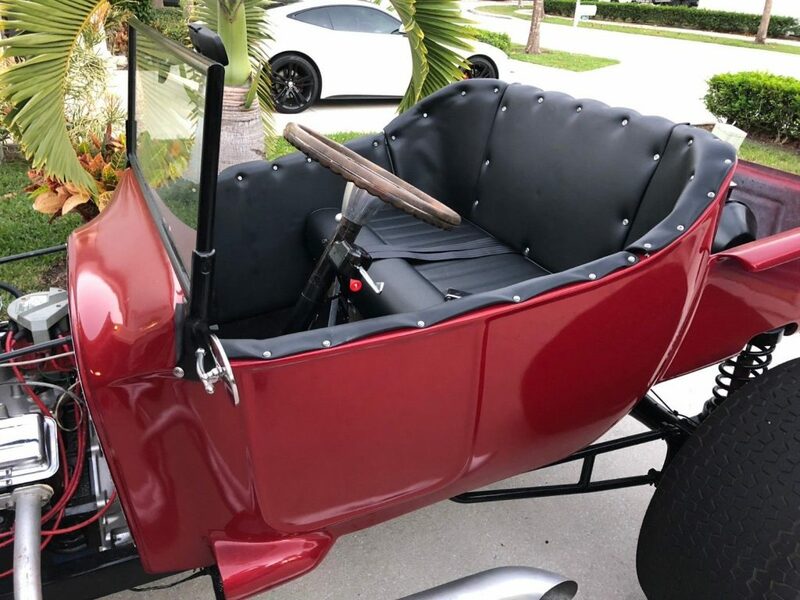 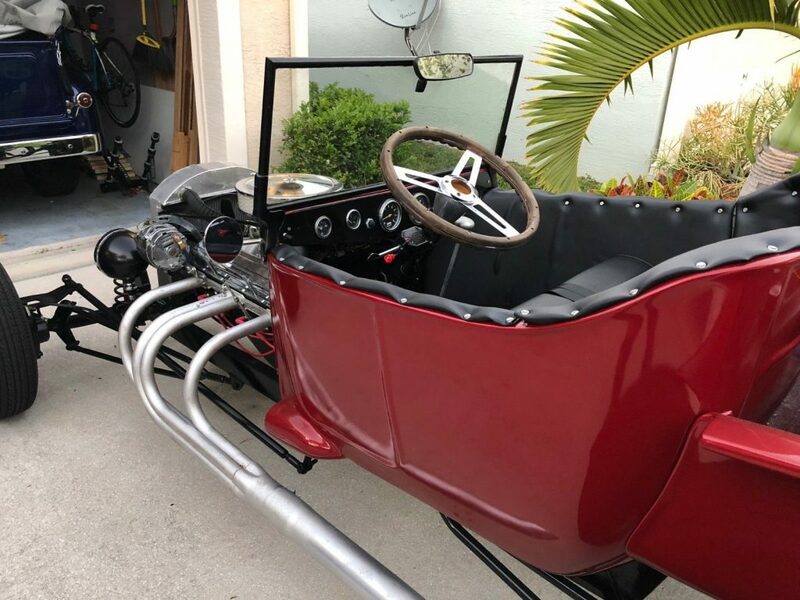 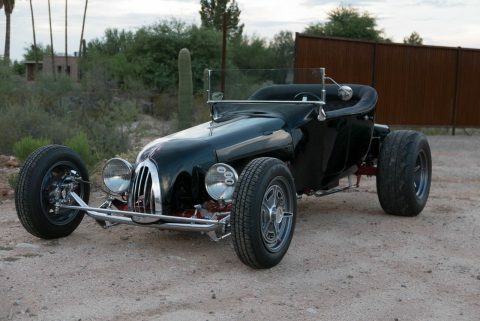 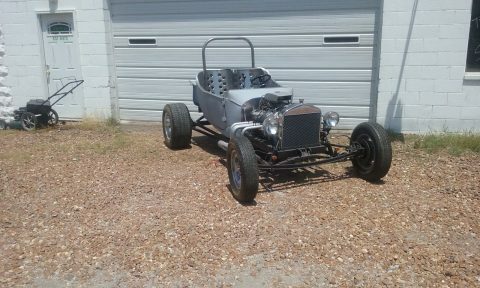 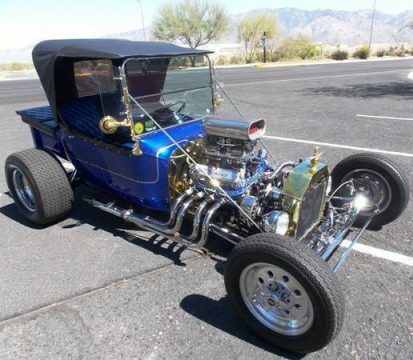 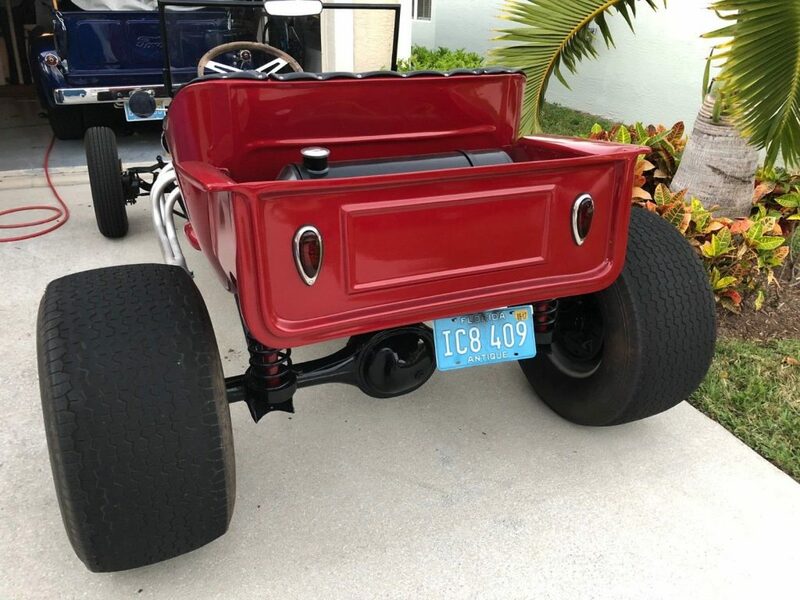 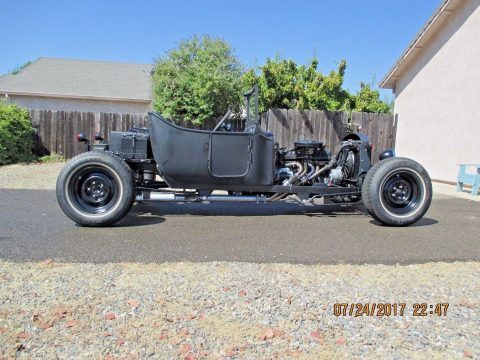 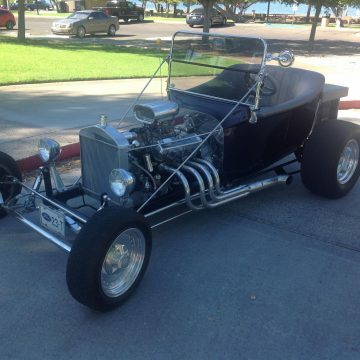 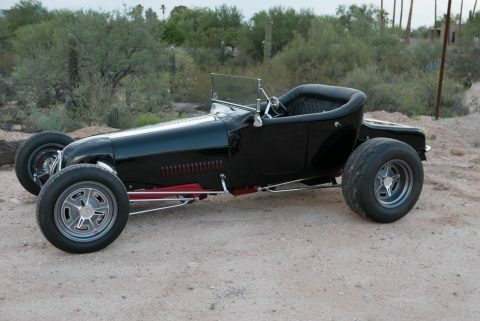 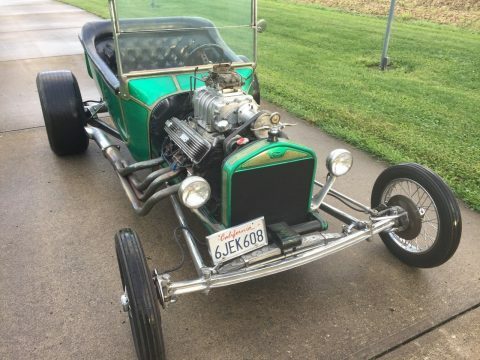 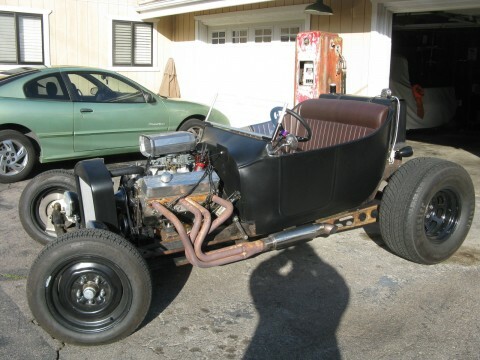 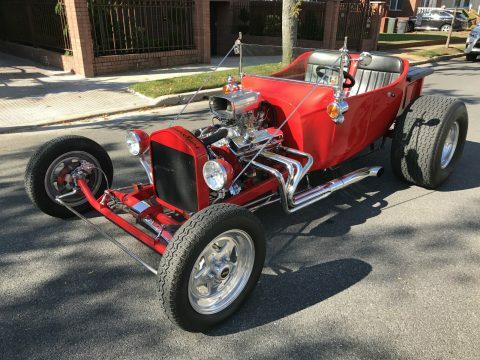 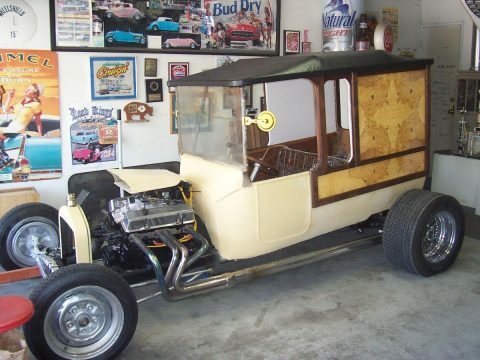 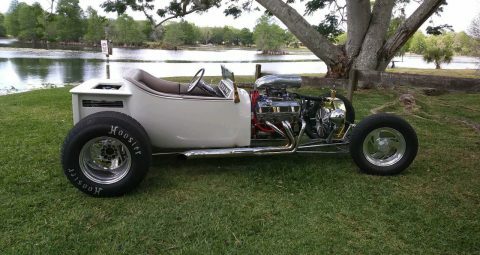 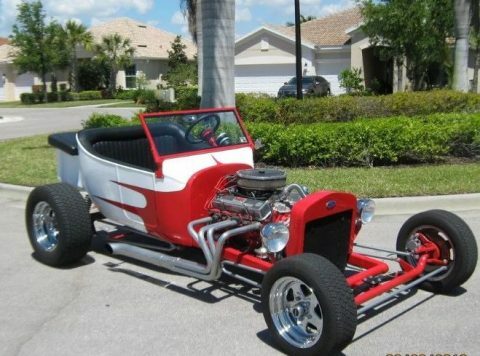 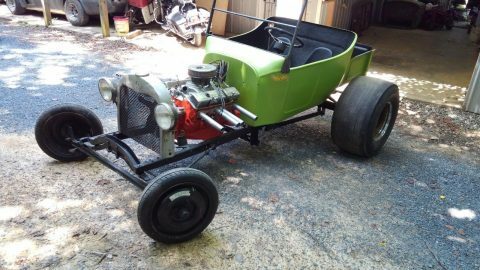 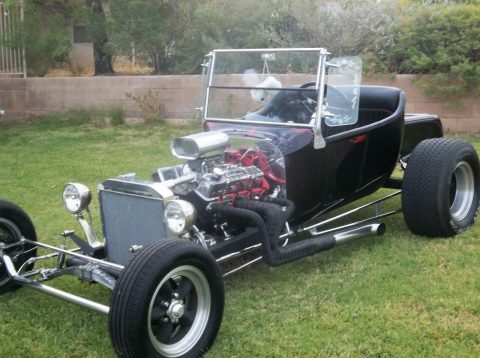 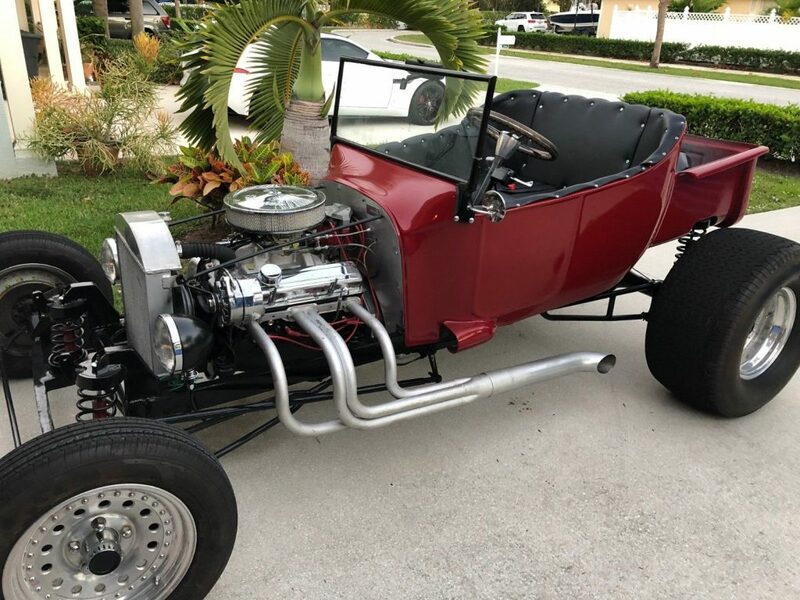 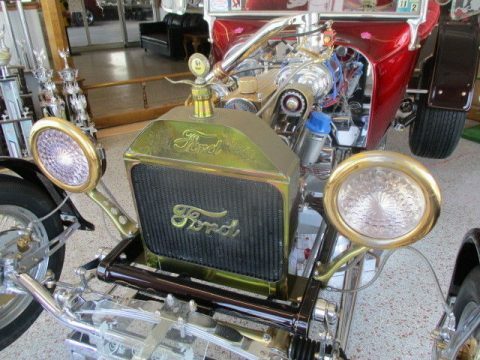 1923 Ford T-Bucket. 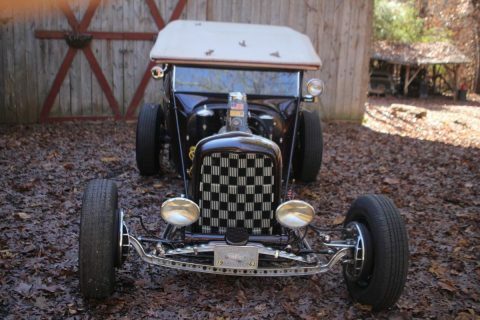 Everything has been gone over including: new red metallic paint on body, new black hot rod paint on chassis, new Goodwrench 350 V8 engine with Edlebrock 4 barrel carb/electric choke, new HEI distributor/coin, new front disc brakes, new lights (front and rear), new gas tank, new custom black interior and matching never worn black carpet & much, much more! 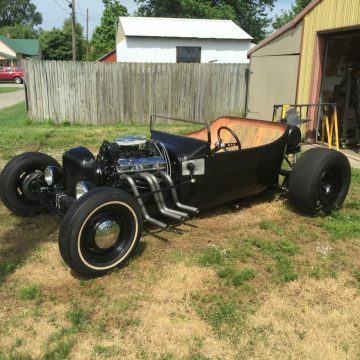 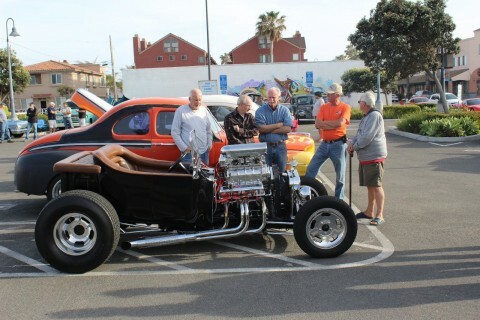 Electrical has been gone through and rewired completely.Driving around this will turn heads wherever you go – and the sound just ROARS!